Can’t you join us in Coimbra? Don’t miss the unique opportunity to follow the live presentations of the shortlisted events and the educational programme. To get your personalized link, register here. November 19th, 2018. The countdown has begun. 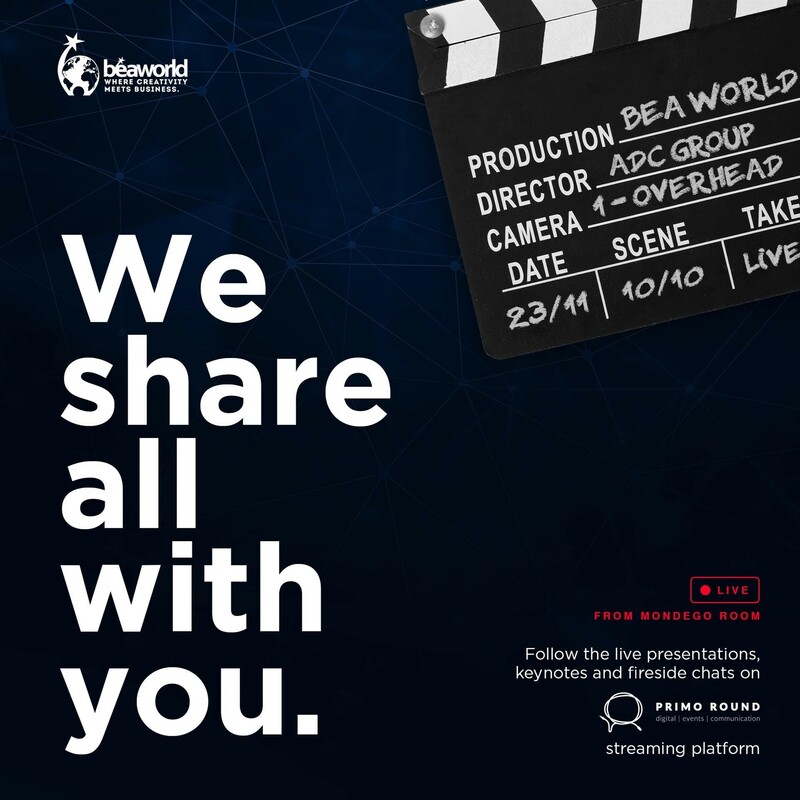 Bea World Festival – Where Creativity Meets Business is your once-in-a-year opportunity to stay up-to-date with the changing landscape of live communication. Your unique chance to see the world’s best-in-class events, compare your work to that of the competition, develop your business and learn all you need from leading experts for your future success. If you cannot join us in Coimbra, this year you have the unique opportunity to follow in live streaming the live presentations of the shortlisted events and the educational programme by simply registering on the dedicated platform. By clicking here you will find a form to fill in and, starting from Wednesday, November 21, you will receive your personalized link to follow the live streaming. Live presentations will take place on November 22nd at Convento Sao Francisco in Coimbra. The following day, on November 23rd, in the same venue, the participants will join a rich educational programme. Through the live streaming, you will have the chance to follow the plenary sessions held in the Mondego Room and hosted by Peter Hopwood, Global Speaking and Impact Coach & International Conference Host and founder of Hopwood Communications. Enjoy this passionate communicator and motivator with a delightful dose of British charm, and experience his unique knack of keeping an audience entertained and informed. His warm energetic hosting skills are in high demand from Dubai to Amsterdam, Berlin to Shanghai helping make conferences look, sound and feel great. You never know, he could be shaping the stage at your next event! 11.55-12.25 Panel: Globalization. A Blessing or Curse? To learn more about the above-mentioned sessions, check the agenda of November 23. And… Don’t make any plans for the evening! From 21.00 to 23.00 join the long awaited Best Event and Best Location Awards Ceremony to find out all the winners, by following it in live streaming on our official Facebook page. The live streaming is powered by Bea World partner Primo Round.